Tours de Sport's Blog: Spring Break Specials in Vail, Colorado @ Destination Resorts. 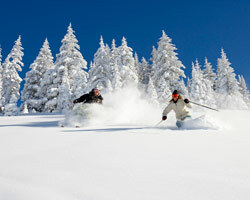 Spring Break Specials in Vail, Colorado @ Destination Resorts. This just in from our partners at Destination Resorts in Vail, Colorado. ***Offers may not be combined, some restrictions do apply. Only valid on new reservations. Not valid on Gore Creek Homes!!! Please keep in mind we ARE offering 15% off of the Gore Creek 4 bedroom; stays valid NOW thru April 24, 2011. Vail has many many spring activities planned and the skiing will be excellent due to great snow coverage. 888-754-2167 and we will help you plan a great spring holiday.